Mum comes up with a genius way to get her teenage daughter to respond to her texts! Communicating with teenagers can be hard. 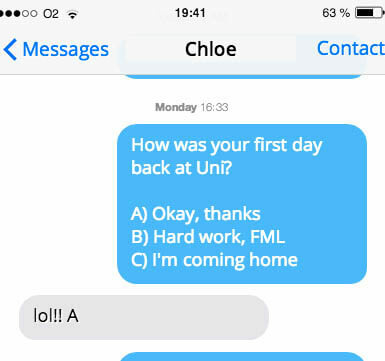 So when Catherine Gladwyn’s 19-year-old daughter Chloe returned to university after the summer, she decided to make it easy for her daughter to let her know that she was ok… by offering her a simple multiple-choice question! 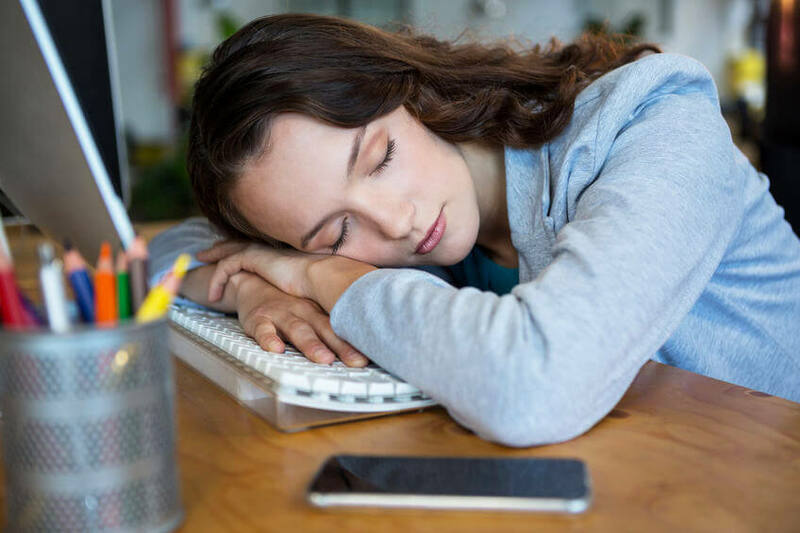 My job as a Virtual Assistant is to free up my client’s time, so I know the importance of keeping things short and to the point,” said Catherine, who runs Delegate VA.
“After a summer holiday of fun and freedom, I thought Chloe would appreciate this quick, no-fuss approach,” the Swindon-based mum said. We think she might just be onto something.